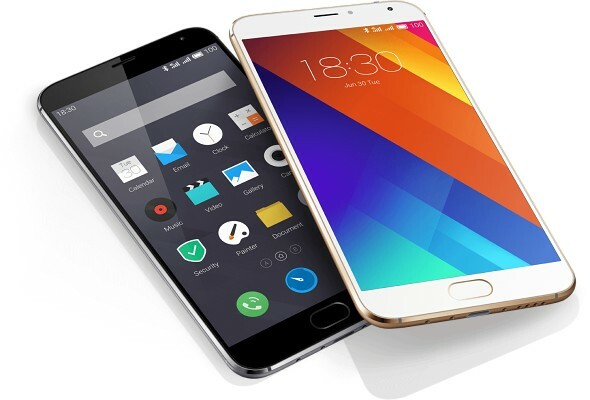 Meizu MX5 is the next top-of-the-line smartphone from the popular Chinese outfit. Will it be released here in the country? Yes? Maybe? Either ways, I bet you need to check on it specs and features. Check it out here. The Meizu Mx5 has become official yesterday following the series of leaks about the handset in the past couple of months. Now, the 2015 flagship of the Chinese company is here, and it is arguably one of the best looking phones around. For one, it now has a unibody metal shell with an iPhone-like plastic inlays on the rear panel to ensure the best radio reception and transmission. All the powerful hardware of the Meizu MX5 is packed in a 7.6-millimeter body. Likewise, the handset is slightly heavier than last year's offering with its 149-gram weight. The 5.5-inch screen is still of full HD technology and is treated by a Corning Gorilla Glass 3. As far as the hardware goes, the Meizu MX5 boasts the all new Helio X10 chipset from MediaTek which churns with 8 powerful Cortex-A53 cores running at 2.2GHz speed. The SoC also features the PowerVR G6200 GPU intended for graphic works; and 3GB of RAM for faster app launching and multitasking. Users will also have a choice among 16GB, 32GB and 64GB configurations. In terms of camera, the Meizu MX5 includes a 20.7MP camera setup which is defined by an f/2.2 aperture lens. Likewise, it also comes with a dual-color (dual-tone) LED flash and captures 4K video recording. This 6-element lens is also capable of shooting slow-motion videos at 100 fps. On the other hand, the selfie camera comes with 5MP shooter with an impressive f/2.0 aperture for better low-light performance. The Meizu MX5 also highlights the mTouch fingerprint sensor which is now on version 2.0 bumping its speed and accuracy. On the connectivity front, the Meizu MX5 supports 4G LTE in both SIM slots. It is also equipped with WiFi dual-band 802.11 b/g/n/ac and Bluetooth 4.1. The 3150 mAh battery will support all the hardware that the Meizu MX5 included in its package. What's more worth noting is the fact that the handset could stack up to 25 percent of battery in the first 10 minutes of charge. Of course, the Meizu MX5 comes with a newer version of Flyme OS which is now at 4.5. The handheld comes in three different hues for you to choose from - deep gray, silver and champagne gold. Price starts at USD 290 (approx 12800) for 16GB, USD 322 (approx Php 14,200) for 32GB and USD 390 (Php 17200) for 64GB configuration.